Don't let cooler weather keep you off the bike. 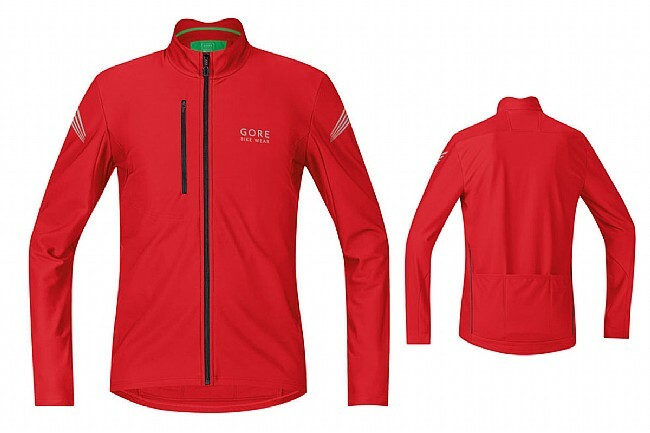 Gore's Element Thermal Long Sleeve Jersey combines comfort, breathable insulation, and excellent visibility. The Element Thermo also features the kind of attention to detail that helps make a good ride great. Three compartment pockets on the back of the jersey are deep enough to offer peace of mind, and easy to access, even when wearing larger gloves. An extra front Napoleon pocket makes access to phones and maps easy. Gore incorporated reflective piping on the back of the jersey and a larger reflective print on each sleeve for the added safety of maximum visibility. Like all Gore Bike Wear, attention to detail and fit are outstanding. The unique shape of the Element Thermo's collar helps keep you warm without restricting movement, and the extended back helps ensure comfort and warmth. Perfect for cooler morning rides, the Element Thermo can be worn alone or under a jacket as an added layer of warmth.